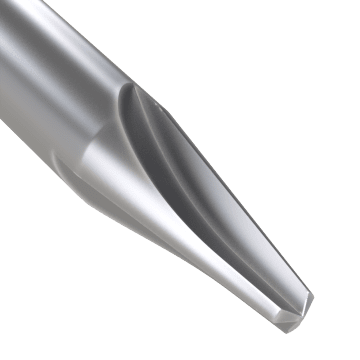 Create slots or grooves with tapered walls using these tapered end mills. Sometimes called die-sinking cutters, they are often used to mill or sink mold and die cavities. They have a conical nose that is wider at the base than at the tip. 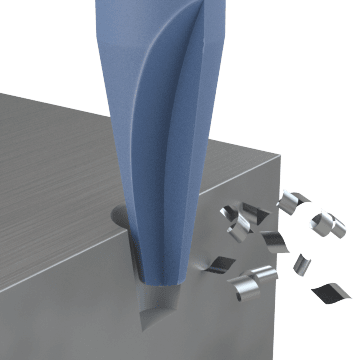 In general, end mills with more flutes allow a higher feed rate, while end mills with fewer flutes permit faster chip clearance. For best results, choose the shortest end mill that will work for your application. Solid carbide end mills provide good wear resistance when milling the toughest materials, such as cast iron and nonferrous alloys, but they require rigid tool setups because they are brittle.